The island's coloured sands, sub-tropical forests, and lakes rimmed with gold set the scene, we just add the finishing touches. Rare and beautiful wedding destination, offering a refreshing change when it comes to outdoor weddings. 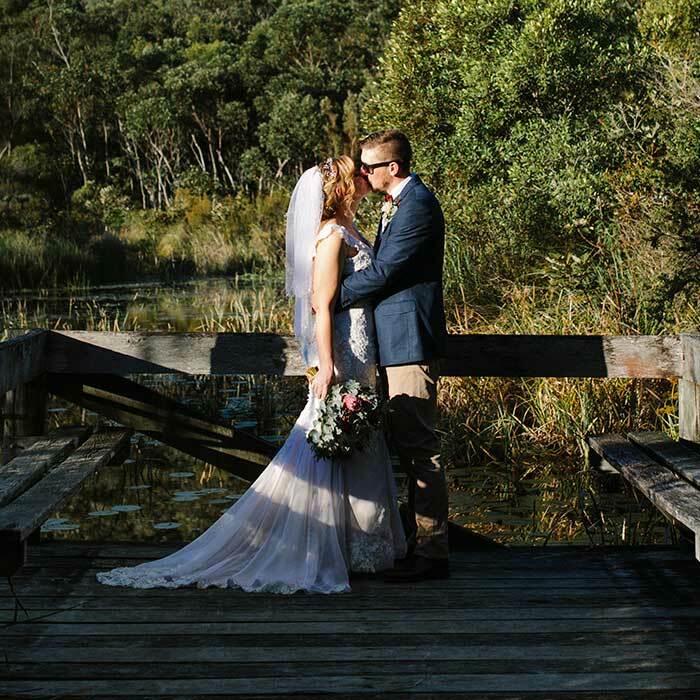 Fraser Island's untamed wilderness provides stunning outdoor and indoor locations for your wedding day ceremony. Saying "I do" against a Fraser Island sunset adds to the romance to your special day. We've got the perfect blokey activities for Buck's weekends and fantastic pampering options for the Hen and her bridesmaids. World Heritage-listed Fraser Island is naturally perfect – offering brides-to-be temperate climes, blue skies, sunny days and stunning wedding pictures. 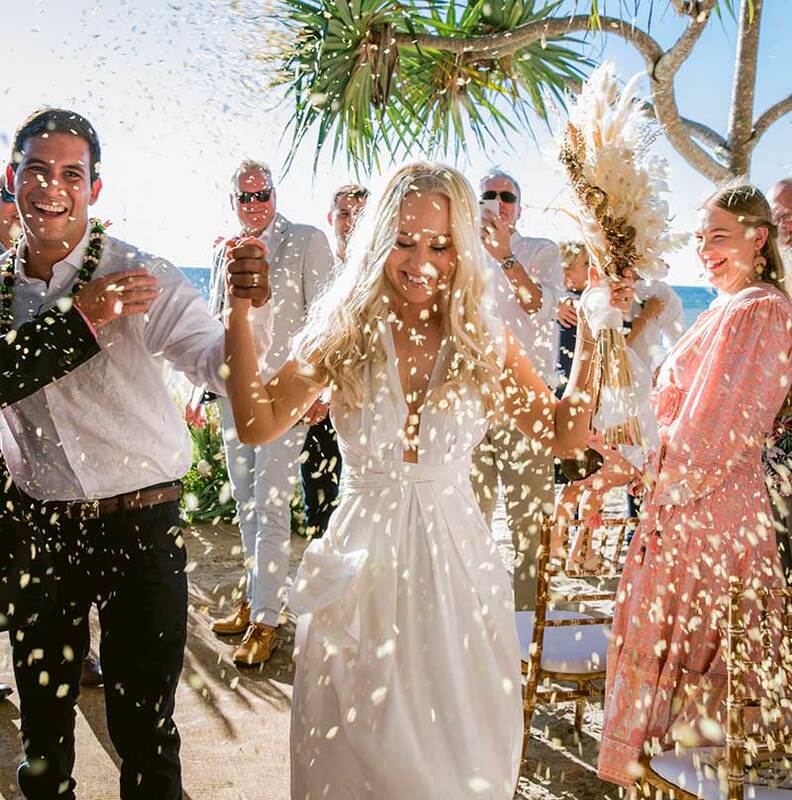 Your wedding celebrations start the moment you set foot on beautiful Fraser Island and we're on hand to make sure it all comes off perfectly. 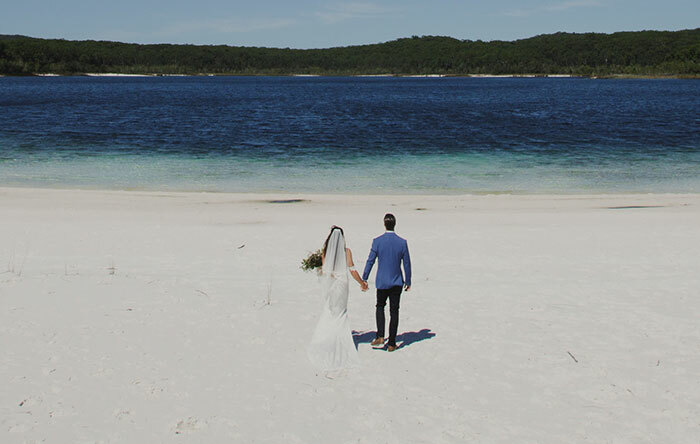 Fraser Island Weddings Video Courtesy of Trending Media Australia. Sunset beach is one of our most popular ceremony sites and is located on Fraser Island's sheltered western side - 400m from the resort's jetty and just a stone's throw from your hotel accommodation. With uninterrupted views out over the islands of the Great Sandy Straits and native bush surrounds - this is a very unique Fraser Island venue and perfect for outdoor weddings. Whether you've planned a casual beach wedding or wanting silver service in an impressive open-air, bush-inspired venue - then this is sure to impress. Our little lakeside beach looks out over one of Fraser's mirror lakes - and is great early morning and afternoon when island bird life duck and weave for food on the lake's surface. Kingfisher Bay's Centre Complex was built to impress - with use of native timber and natural colours to blend into the environment. Boardwalks and verandahs lead the way to some of the most beautiful bush hidey holes on Fraser island - marry in the wallum shrubbery or in World Heritage surrounds to the sound of bird song. Your wedding pics will look this good! Thanks for letting us be part of your special day. What our brides and grooms are saying about their wedding day at Kingfisher Bay Resort.